The aim of this study was to evaluate and compare Electromyography root mean square (EMGrms) signals before and after the application of Whole-Body Vibration (WBV) in a case of type 2 Diabetes Mellitus with peripheral neuropathy. EMGrms signals enhanced immediately, 5 minutes and 10 minutes after the application of WBV. These finding demonstrate that WBV at the frequency of 30 Hz and amplitude of 2 mm transmitted through a vibrating platform in static half squat position increased EMGrms activity of all muscle portions studied in a Diabetic type 2 patient with peripheral neuropathy. Type 2 Diabetes Mellitus (DM) is a prevalent metabolic disease all around the world. As the disease progresses over time, neuropathy becomes a common complication. Up to 36% of individuals with non-dependent DM are affected by this condition. Signs and symptoms of peripheral nerve damage may occur in up to 25% of patients with DM after 10 years. Several sensory systems are simultaneously affected in DM that impairs balance increases the risk of falling. Yet, proprioceptive deficits of foot and ankle are considered to be the primary sources of balance impairment in DM. Muscle strength can also be impaired in patients with DM. Diabetic patients had a 17 and 14% reduction of strength of ankle flexors and ankle extensors, respectively. Whole Body Vibration(WBV) is a new somato-sensory stimulation (SSS) type of exercise that has been emerged in sport training and rehabilitation during the last decade. [4,5] WBV increases muscular strength. [6-9] Muscle activity while exposed to vibration could be monitored recording root mean square electromyography (EMGrms) signal. Several studies have reported a significant increase in EMGrms signal of different lower body muscles after exposure to WBV compared with the same position without vibration. [10-12] These changes have been proposed to be due to an increase in neuromuscular activity. It is now obvious that sustained vibration applied to tendon or bulk of muscle can stimulate muscle spindles and elicit a reflex called Tonic Vibration Reflex (TVR) primarily through Ia monosynaptic and polysynaptic pathways. [13,14] To our best knowledge, there is not any study concerning the effects of WBV on EMGrms response in Diabetic type 2 patients with peripheral neuropathy. So the aim of this study was to evaluate the effects of a single session of WBV on EMGrms signals in a case of Diabetic type 2 patient with peripheral neuropathy. The patient was a 50-year old man with a 15-year history of type 2 DM and a sensation of tingling and numbness in feet from 10 years ago. His Body Mass Index (BMI) was 25.5 and Waist to Hip ratio was 0.86. He had moderate degree of neuropathy according to Michigan Diabetic Neuropathy Score (MDNS). Online EMGrms data were collected using Data Log, Biometrics, UK recording and acquisition system. The signals of Gastrocnemius Medialis and Lateralis and Tibialis Anterior were recorded with bipolar surface electrodes (SXZ 230, Biometrics, UK) fixed longitudinally to the muscle belly in the dominant leg. Skin was shaved (if necessary) and cleaned with an alcohol wrap. First, subject was sitting at the edge of a plinth and was told to be completely relaxed and the baseline data from the muscles were recorded. Then, he performed three maximal voluntary isometric contractions (MVIC) over 5 seconds on the platform with 30 degrees knee flexion. Next, patient was exposed to WBV (Power-Plate, Next Generation, USA) with the frequency of 30 Hz and amplitude of 2 mm for one minute. During platform standing, patient was asked to distribute the body weight evenly on both legs and not to touch the hand grip. EMGrms data were collected immediately, 5 minutes and 10 minutes after the exposure to WBV. As can be seen, all muscles showed an incremental pattern of EMGrms signal after the application of WBV. 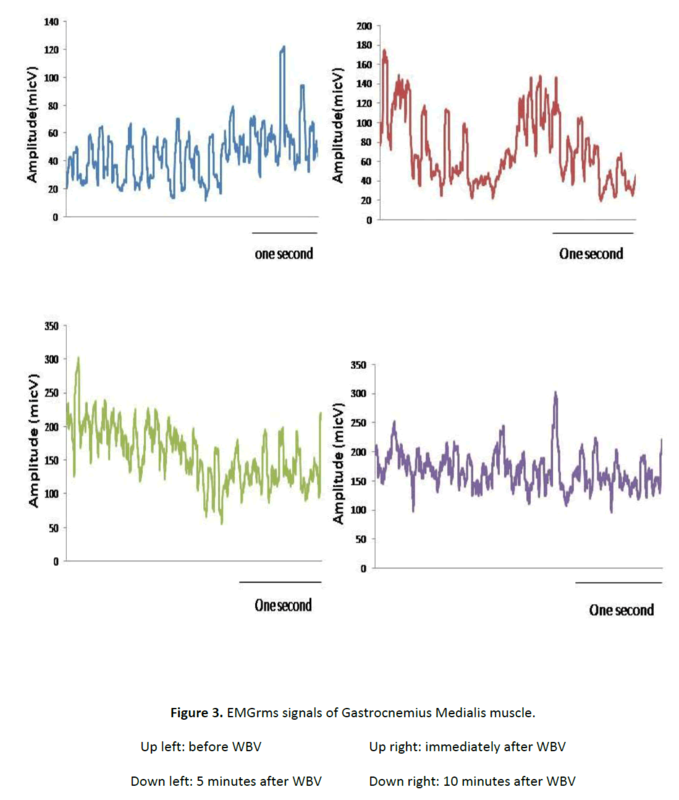 Among three muscles, EMGrms of Gasterocnemius Medialis maintained the incremental pattern of activity after 10 minutes of application of WBV. Muscle activity while exposed to vibration could be monitored recording EMGrms. Changes seen in EMGrms after exposure to WBV can be attributed to neuromuscular activity (15). Based on the results obtained, it is possible to verify that WBV at 30 Hz and amplitude of 2 mm transmitted through a vibrating platform in static half squat position increased EMGrms activity of all muscle portions studied. 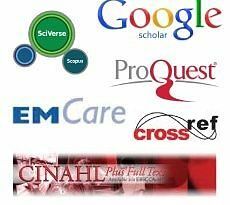 To our best knowledge this is the first study collected EMGrms activity during application of a WBV stimulus from a commercially available platform in a Diabetic type 2 patient with neuropathy. Cardinale and Lim (10) suggest that vibration causes a strong pertubation that is perceived by central nervous system which modulates the stiffness of the stimulated muscle groups. Finally, as confirmed by Moras et al., EMGrms is a good method to monitor static training protocols performed over a commercial vibration platform that could be found in many gyms or training centers nowadays (15). However, further studies are needed to determine the EMG response to WBV in different body positions and also to compare other EMG analysis techniques such as wavelet analysis to obtain more detailed information of muscle activity patterns. Figure 1: EMGrms signals of Tibialis Anterior muscle. Figure 2: EMGrms signals of Gastrocnemius Lateralis muscle. 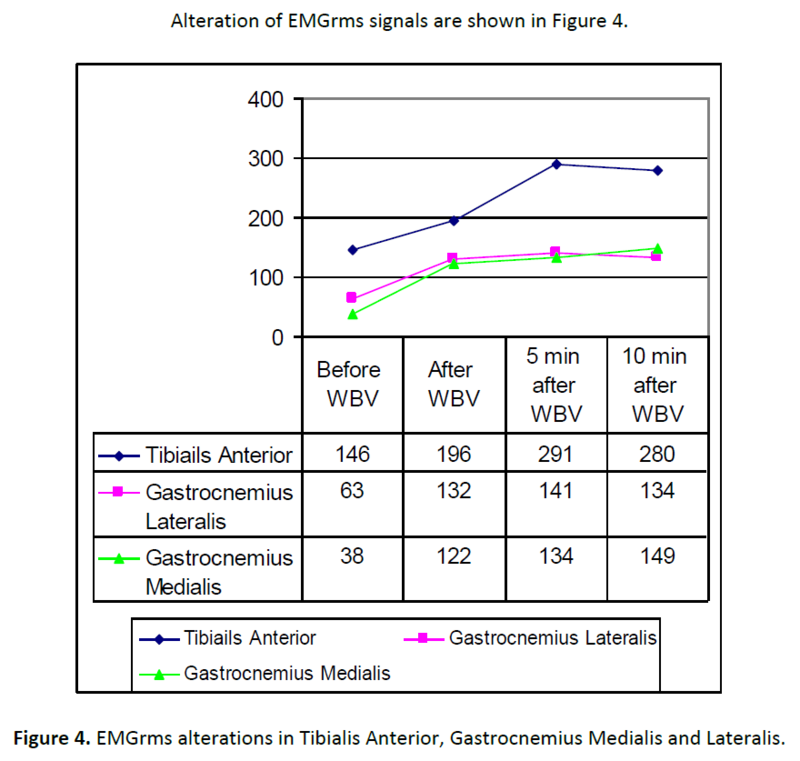 Figure 3: EMGrms signals of Gastrocnemius Medialis muscle. Figure 4: EMGrms alterations in Tibialis Anterior, Gastrocnemius Medialis and Lateralis. Pieber K, Herceg M, Paternostro-Sluga T. Electrotherapy for the treatment of painful diabetic peripheral neuropathy: a review. 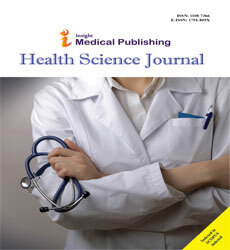 Journal of Rehabilitation Medicine 2010;42(4):289-95. Van Deursen RW, Simoneau GG. Foot and ankle sensory neuropathy, proprioception, and postural stability. The Journal of orthopaedic and sports physical therapy 1999;29(12):718. Andersen H, Nielsen S, Mogensen CE, Jakobsen J. Muscle strength in type 2 diabetes. Diabetes 2004;53(6):1543.
van Nes IJW, Latour H, Schils F, Meijer R, van Kuijk A, Geurts ACH. Long-term effects of 6-week whole-body vibration on balance recovery and activities of daily living in the postacute phase of stroke: a randomized, controlled trial. Stroke 2006;37(9):2331. Bogaerts A, Delecluse C, Claessens AL, Coudyzer W, Boonen S, Verschueren SMP. Impact of whole-body vibration training versus fitness training on muscle strength and muscle mass in older men: a 1-year randomized controlled trial. The Journals of Gerontology Series A: Biological Sciences and Medical Sciences 2007;62(6):630. Prisby RD, Lafage-Proust MH, Malaval L, Belli A, Vico L. Effects of whole body vibration on the skeleton and other organ systems in man and animal models: what we know and what we need to know. Ageing research reviews 2008;7(4):319-29. Rittweger J. Vibration as an exercise modality: how it may work, and what its potential might be. European Journal of Applied Physiology 2010;108(5):877-904. Torvinen S, Sievanen H, Jarvinen TAH, Pasanen M, Kontulainen S, Kannus P. Effect of 4-min vertical whole body vibration on muscle performance and body balance: a randomized cross-over study. International journal of sports medicine 2002;23(5):374-9. 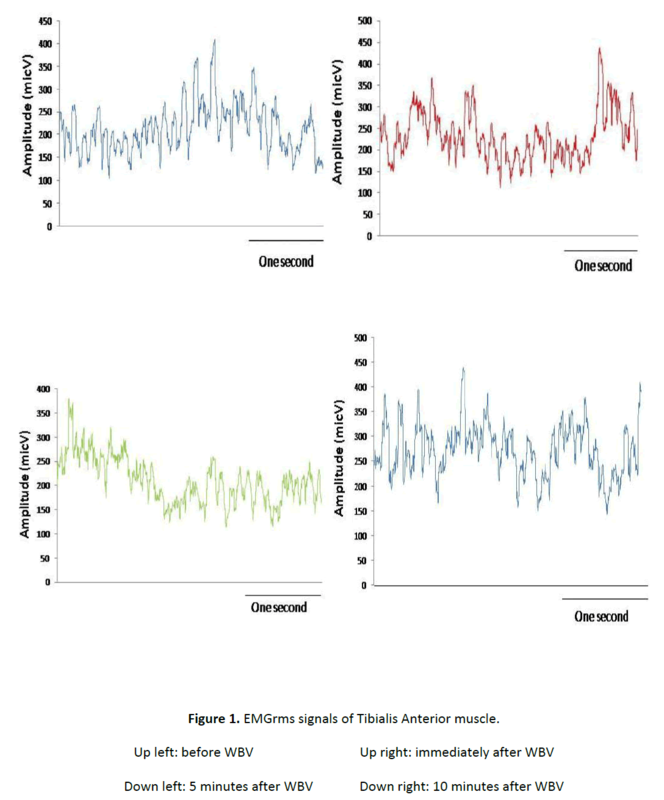 Cardinale M, Lim J. Electromyography activity of vastus lateralis muscle during whole-body vibrations of different frequencies. Journal of Strength and Conditioning Research 2003;17(3):621-4. Delecluse C, Roelants M, Verschueren S. Strength increase after whole-body vibration compared with resistance training. Medicine & Science in Sports & Exercise 2003;35(6):1033. Berschin G, Sommer HM. The influence of posture on transmission and absorption of vibration energy in whole body vibration exercise]. Sportverletzung Sportschaden: Organ der Gesellschaft f³r Orthopdisch-Traumatologische Sportmedizin 2010;24(1):36. Martin BJ, Park HS. Analysis of the tonic vibration reflex: influence of vibration variables on motor unit synchronization and fatigue. European journal of applied physiology and occupational physiology 1997;75(6):504-11. Romaiguere P, Vedel JP, Pagni S. Effects of tonic vibration reflex on motor unit recruitment in human wrist extensor muscles. Brain Research 1993; 602(1):32-40. Moras G, Tous J, Muoz CJ, Padulls JM, Vallejo L. Electromyographic response during whole-body vibrations of different frequencies with progressive external loads. Lecturas EF 2006;93.